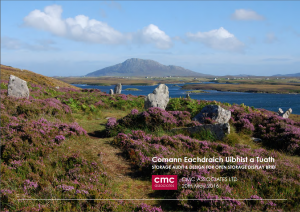 CMC has been working with Comann Eachdraich Uibhist a Tuath (CEUT) to review their storage requirements. Their intention is to develop a new store that will facilitate open storage and increase public access to and use of their collection. Existing shared storage facilities are simply not ideal for public access. Above all they do not allow visitors the tactile and linguistic engagement with the reserve collections that the heritage society would like to see. The collection is rich and diverse – its largest item is the boat Morning Star, seen here (image courtesy CEUT). Following several site and team meetings our consultancy report will be submitted later this month.